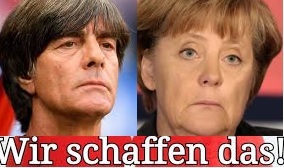 Löw und Merkel vor dem Aus? Das Ausscheiden Deutschlands in der Vorrunde der Fußballweltmeisterschaft mag sich letztendlich als Segen für das Land erweisen. Der immerhin vierte Platz hinter Südkorea offenbart die arrogante Selbstgerechtigkeit und geistige Leere, die in diesem Team herrscht; sie steht aber symptomatisch für das ganze Land. Ein emotionsloser und resignativer Mehltau lag auf der Mannschaft von pekuniär überzüchteten Fußballsöldnern. Merkels „Dunkeldeutschland“ spiegelte sich eins zu eins in Löws „Gurkentruppe“ wider. Dieser Beitrag wurde unter Uncategorized abgelegt am Juni 28, 2018 von Ludwig Watzal. Novichok Museum or to cover up Evidence? 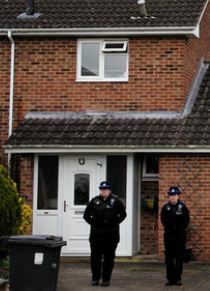 The Home of the Skripals in Salisbury. The British government is going to by not only the house of the Skripal’s in Salisbury but also that of policeman Nick Bailey. The first one costs 350.000 Pounds, the second one 430.00 Pounds. All in all, the British taxpayer has to pay almost 1 Mio. Euros. There had been found driblets of „Novichok“ at the door handle, and the policeman found the Skripals sleeping on a park bench, the contamination must have been all over the place. What does the British government want to do with these intoxicated houses? Do they want to establish a Novichok museum or does the government want to hide non-existent evidence? Do they want to tear these houses down and send the debris to Russia? The British government should place these funds more useful and spend it for the victims of the Grenfell tower. After three months, the Brits haven’t come up with no evidence. The Skripals are out of the hospital but held under a kind of house arrest by the British intelligence agency. They are not allowed to talk to anybody; perhaps they have to get brainwashed to say the politically correct things. The government-controlled Western media have long forgotten this made up nerve gas attack and are eager to expect the next sarin-gas attack by the terrorists in Syria to blame it on the Assad government. The whole Skripal affair was a well-orchestrated scam by Western intelligence agencies to blame Russia and President Putin. Dieser Beitrag wurde unter Uncategorized abgelegt am Juni 26, 2018 von Ludwig Watzal. The London High-rise burns and burns and won’t Collapse! A High-rise in London keeps on burning without collapsing. 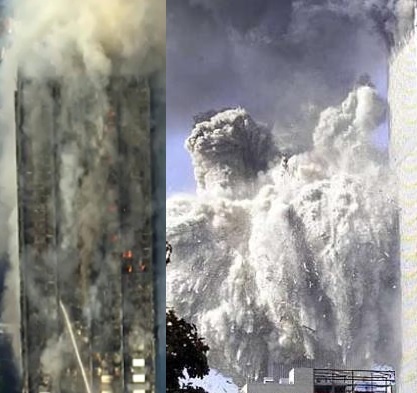 By contrast, the Twin Towers in NYC dissolved into dust after one hour! What about the laws of physics in London and NYC? How come that the London high-rise hasn’t collapsed yet? It has been burning since one o’clock at night, i. e. for almost 14 hours., and it keeps on burning. How come the Twin Towers in New York City collapsed and dissolved into dust after one hour being hit by unidentified objects? Why does physics works in London and not in NYC? How come that the American media class is not interested in the elucidation of the 9/11 incidents? Why do the American people still believe in the fairytales of the Bush administration and made-up story of the 9/11 Commission Report? So far, no burning high-rise in the whole world has ever collapsed, not to speak of dissolving into dust. Are the United States of America an enlightened nation or a Mediaeval one? As the Shining City on the Hill, they are obliged to clarify all the contradictions surrounding the largest conspiracy against the American people. Dieser Beitrag wurde unter Uncategorized abgelegt am Juni 14, 2017 von Ludwig Watzal. Don’t get bamboozled by the corporate media and the political class! Dieser Beitrag wurde unter Uncategorized abgelegt am November 22, 2016 von Ludwig Watzal. What about Racism in Israel? The International Football Association (FIFA) announced the dissolution of its anti-racism committee. The reasons given; the committee has finished its work! The recommendations had been implemented and were included in the program of FIFA, said Fatma Samoura, General Secretary of the organization. However, racism in stadiums is rampant such as in Israel. One should just watch a soccer game from Beitar whose fans went wild after one Muslim player scored a goal. Beitar is the most right-wing club in Israel and its fans are right-wing extremists. In 2019, the World Championship takes place in Russia where racist incidents in stadiums happen quite often. 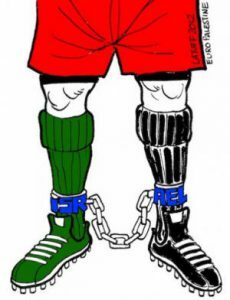 The decision of FIFA has been criticized, inter alia, by the British anti-racist group „Kick it out“ as „ridiculous“ and „disgraceful“. Also, Jordanian Prince Ali al-Husseini, who run against Sepp Blatter, criticized the decision as too early because „the fight against racism is way from over“. The scandalous former FIFA boss Blatter inserted the anti-racism committee and his successor Gianni Infantino dissolved it. It seems that the „new“ FIFA goes back to the times before Sepp Blatter. Dieser Beitrag wurde unter Uncategorized abgelegt am September 28, 2016 von Ludwig Watzal. Hat Mario Götze das Fußballstadion mit einer Wohlfühloase verwechselt? Dieser Beitrag wurde unter Uncategorized abgelegt am September 5, 2016 von Ludwig Watzal. 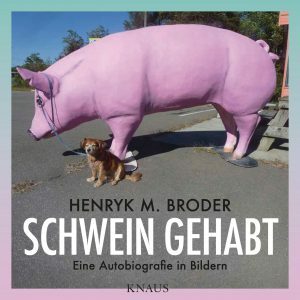 Henryk M. Broder wird 70: Happy Birthday! 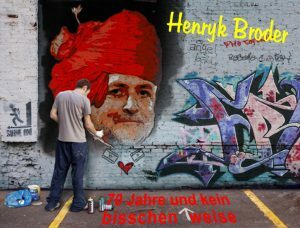 Henryk M. Broder wird alt! Dieser Beitrag wurde unter Uncategorized abgelegt am August 19, 2016 von Ludwig Watzal.